Eosense delivers the revolutionary eosFD portable soil carbon dioxide flux sensor, featuring built-in data logging and impressively low power consumption. Its standalone design enables deployment of arrays that span metres to kilometres of spatial coverage, opening up new possibilities for field researchers. December 14, 2015	(Press Release) - Eosense, a specialist in environmental gas monitoring devices, today announces the availability of the eosFD portable soil carbon dioxide flux sensor. Featuring built-in data logging and impressively low power consumption, its standalone design enables deployment of arrays that span metres to kilometres of spatial coverage. "FD was originally developed for challenging projects in Canada and the Antarctic. In fact, my Antarctic FD has now delivered year-round CO2 soil fluxes for 5 years running, on a small solar panel," said Dave Risk, Chair, Earth Sciences, St. Francis Xavier University, and Co-founder, Eosense, "Now, scientists everywhere can benefit from this harsh-region heritage, its flexibility, and a much-improved design." Its minimal 1.6 kg weight and power requirement make the eosFD is the first truly portable CO2 flux sensor, enabling field researchers to leave them unattended in the field for up to a year. "The eosFD is why we created this company -- it's the first commercial sensor to change the way flux is measured," said Nick Nickerson, Chief Scientist, Eosense. "Forced Diffusion results in something quite different from traditional methods, we are looking forward to the creative ways in which scientists will use it"
You can see the eosFD in action, along with Eosense's other gas monitoring devices, and learn more about forced diffusion at the AGU Fall Meeting in San Francisco this week, at booth 843 (www.eosense.com/about/upcoming-events/). 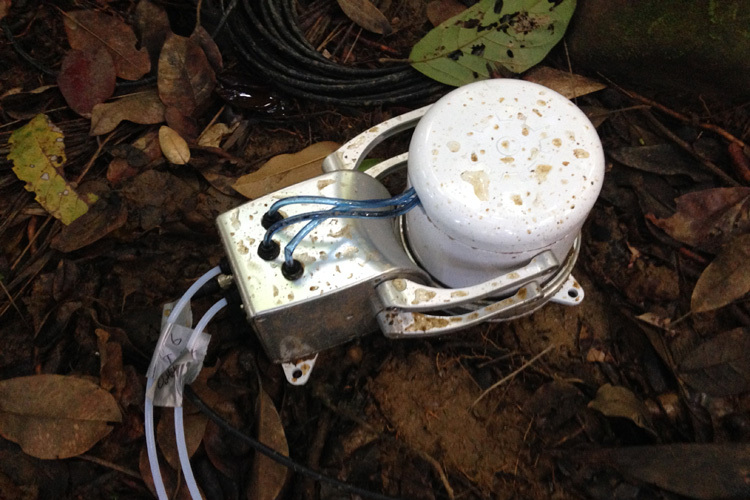 Capture high resolution soil flux and gas concentration data with Eosense environmental gas monitoring devices. Connect to LGR UGGA and Picarro analyzers. The new rugged eosMX-P portable multiplexer and updated eosAC soil flux chamber from Eosense now support the Los Gatos Research (LGR) Ultraportable Greenhouse Gas Analyzer. The combination gives researchers a multi-species GHG soil flux system built for the rigors of field work.